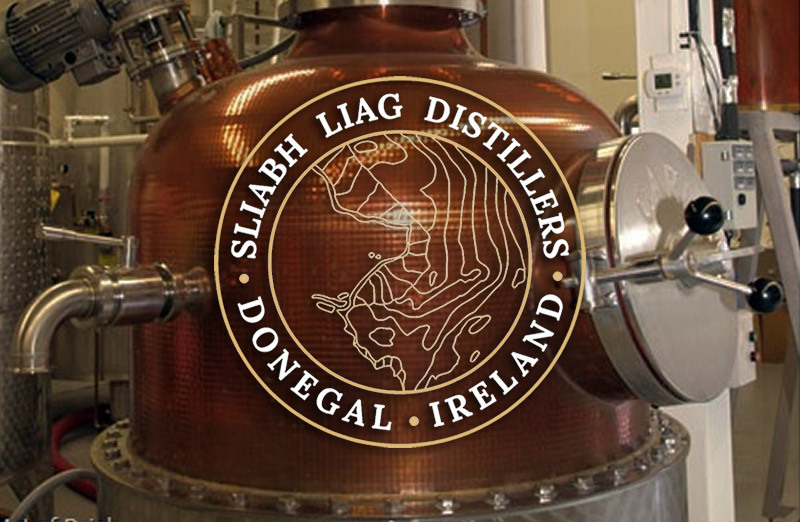 The proposers of the Distillery at the Show Field will hold an information evening in the Nesbitt Arms Hotel on Tuesday 2nd April between 5.00pm and 9.00pm. The Plans for the development will be on display and members of the distillery team will be on hand to advise the public. Everyone is welcome. CLG Ard an Ratha are holding an Information Night this Thursday 28th March at 8pm in the Clubhouse. This will include the Development Plan for all aspects of the Club to benefit our current and future players, both boys and girls. This is a very important night and it is compulsory that all parents attend as well as members, adult players and anyone else who wishes to attend. Refreshments will be served on the night and everyone is welcome. The Narin Portnoo Rosbeg Community Co-Operative Society Ltd. (Dolmen Centre) have produced a Business Plan for an Adventure Guiding Business in the GAP area. There will be a meeting of the Business Plan creators at the Dolmen Centre on Tuesday April the 9th at 8pm. The Co-Operative looks forward to seeing all interested parties in attendance. 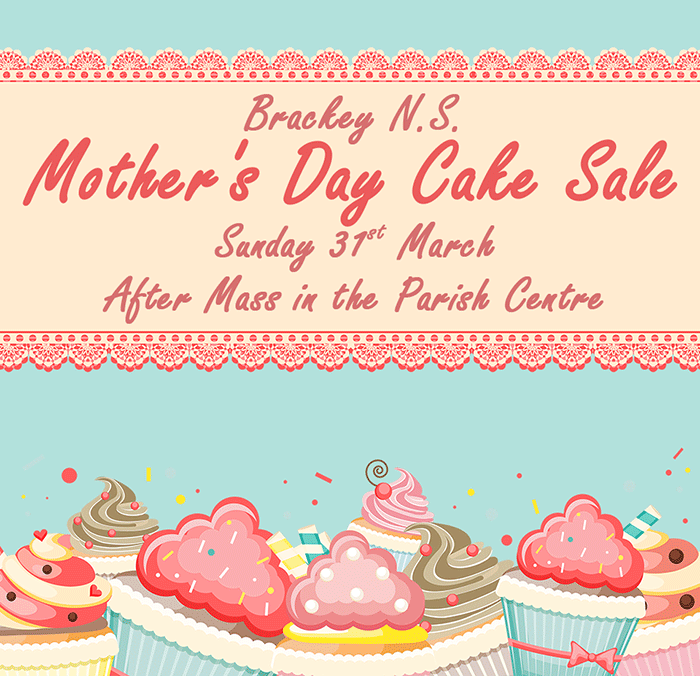 Brackey National School are having a Cake Sale after Mass in the Parish Centre on Sunday 31st. Turn your old clothes and shoes into cash for Brackey National School. Closing date is Monday 8th April before 4pm and drop off is at the School. The following workshops will be taking place in the next few weeks: Pottery Workshop with Eimear Boyle & Lorna McHugh and Spinning and Table Loom Weaving with Colm Sweeney. Update April 2nd 2019: Basket Weaving Classes have been cancelled. Sorry for any disappointment. Basket Weaving Classes will be held in the Heritage Centre on the 22nd and 23rd of April by the master basket weaver Eugene Curran. All materials supplied. The Cost is €40.00 for the two day workshop. Booking is essential. To book a place contact 087 3222910. Do you have a passion for working with older and disabled people and want to make a difference? 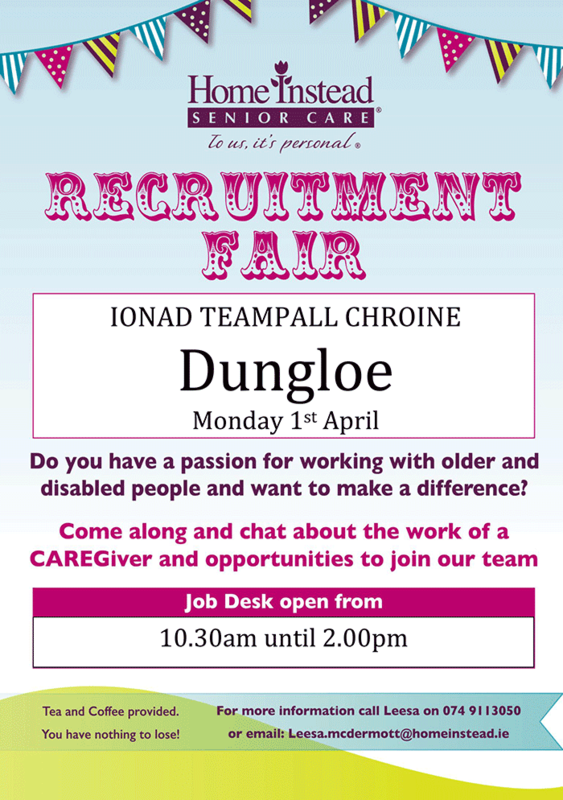 Come along to the Recruitment Fair at Ionad Teampall Chroine, Dungloe on Monday 1st April and chat about the work of a caregiver and opportunities to join our team. Job desk open from 10.30am until 2.00pm. Eddie Doherty on the death of his brother Patsy in Belfast.